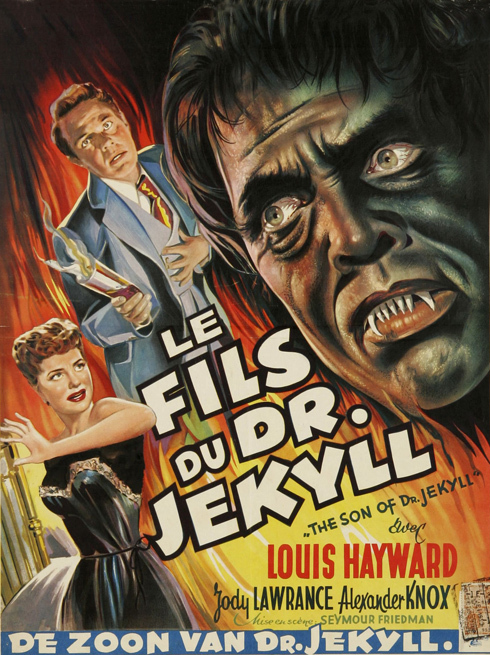 Although ostensibly billed as a horror film, Columbia’s 1951 The Son of Dr Jekyll was, in reality, more of a gothic thriller. It was released at a time when science fiction offerings were becoming de rigeur for most of the Hollywood and British studios, but managed to satisfy both the horror and sci-fi genres by leaning very heavily on the scientific aspect of the title character’s experiments. 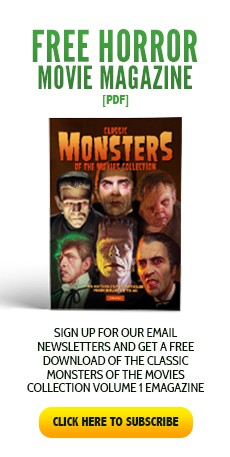 Notwithstanding its merely dancing on the periphery of a traditional monster movie, The Son of Dr Jekyll is a fine film and has unfortunately been little seen, due in no small part to its sidelining by the studios for several decades, being available on neither VHS nor DVD, let alone Blu-Ray. It is, nonetheless, a film well worth watching should the opportunity present itself. The opening sequence of the film delivers great promise, even if it does manage to rewrite a fundamental fact of not only Stevenson’s novella, but also previous film incarnations. 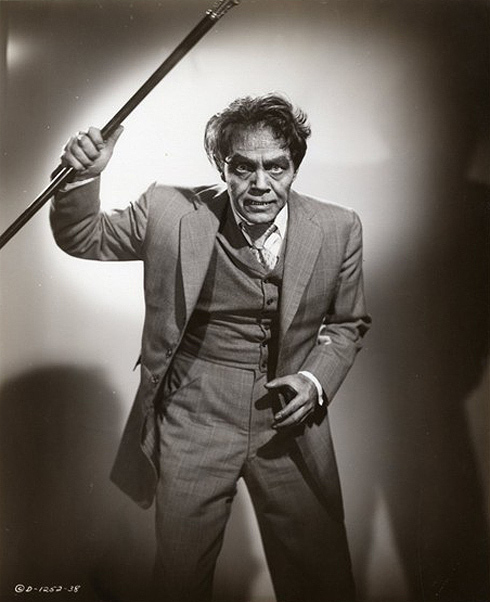 Considered by many to be a direct sequel to the 1941 Spencer Tracy version of Dr Jekyll and Mr Hyde, The Son of Dr Jekyll adds the convenient fact that Henry had married and produced a son and heir but, in a fit of rage as his evil alter ego, had brutally murdered his wife. Without this inventive twist, of course, the whole premise for The Son of Dr Jekyll would be non-existent. Following his murderous misdemeanour, the frantic Hyde is pursued by a torch-bearing mob through the streets of London back to his home, where he urgently seeks to swallow his potion and revert to the safety of the persona of Jekyll. In the ensuing chaos, his house is set alight and he falls, as Hyde, from a window, reverting to Jekyll in death to the shock and horror of onlookers. Jekyll’s orphan, imaginatively named Edward, is ultimately raised by family friend and lawyer John Utterson (Lester Matthews), happy in ignorance of his true parentage. However, proving to be a chip off the old block, he is expelled from medical school when his research proves controversial to his mentors. 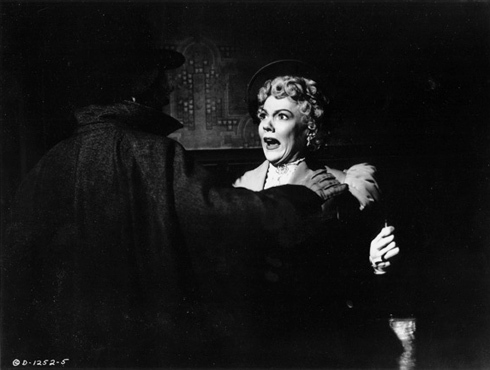 Acting in concert with Utterson as the young Jekyll’s guardian, Dr Curtis Lanyon (Alexander Knox) reveals the truth to Jekyll and his fiancee Lynn (Jody Lawrance), who happens to be Utterson’s daughter. Determined to clear his father’s name, Edward moves back into the family home and, against a backdrop of suspicion and scorn, resolves to carry out Jekyll senior’s experiments successfully just once, in order to prove his parent had not been insane or evil. The only time he manages to effect a positive result is when the conniving Lanyon secretly provides the missing ingredient anacrosan, which he has removed from the fraudulent copy of Henry Jekyll’s records presented to Edward. This ploy, together with the exploitation of the unscrupulous Sorelle family, is intended to disgrace and discredit Edward as a madman, thus allowing Lanyon to take possession of the Jekyll estate in revenge for losing all his own wealth as a result of defending Henry. Edward cottons on and, with the help of faithful family butler Michaels (Rhys Williams) and Lynn, manages to turn the tables and win out the day, with the cornered Lanyon falling from the same window as Hyde in a bizarre parody of the opening scene. Tackling what was essentially the quadruple role of Jekyll/Hyde senior and junior was handsome heart-throb Louis Hayward, a fine actor born in South Africa but educated and brought up in England. Hayward’s patron had been none other than playwright Noel Coward, and his film career began with the British romantic drama Self Made Lady (1932), and was quickly followed by a further five British films in 1933. His move to Broadway in 1935 subsequently brought him a Hollywood contract and his first American film was The Flame Within (1935). By the time of The Son of Dr Jekyll, the 42-year-old was no spring chicken, yet still managed a convincing portrayal of the 30-year-old Edward Jekyll. Clay Campbell’s understated but effective make-up was used only once, in the single transformation scene of Edward’s only successful experiment. 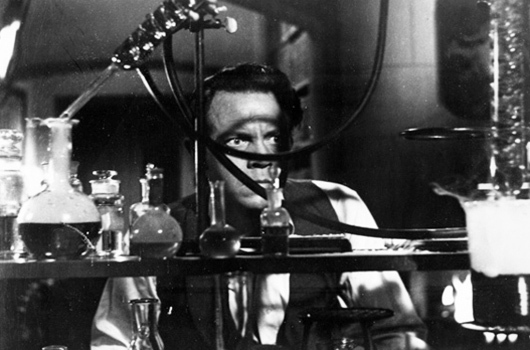 Despite the promise which screams out from the posters and various publicity stills of the time, audiences merely glimpse the transformed son of Jekyll thrashing about on his laboratory floor, and even this 60-second sequence was removed from some prints. It is also never particularly clear whether the metamorphosis is actually physical, or the mere imaginings of Edward’s feverish scientific mind. As far as plot development is concerned, this matters not, and the mystery thriller romps on towards its fiery conclusion unhindered by such seeming trivialities. Although undoubtedly now of its time, and showing signs of age, The Son of Dr Jekyll is a grown-up and satisfying film. Perhaps director Seymour Friedman doesn’t quite capitalise as much as he might on the central mystery, revealing Lanyon as the culprit with a bit of a nod and a wink towards the audience rather than delaying the big reveal. He does, however, nicely develop the characters and ambience of writers Mortimer Braus and Jack Pollexfen’s story, which in turn provides a cinematic playground of gothic London which almost becomes a character in its own right. It is not easy to see why such an accomplished production has essentially fallen into oblivion, but the fact that it has merely enhances the delight it offers upon its rediscovery. 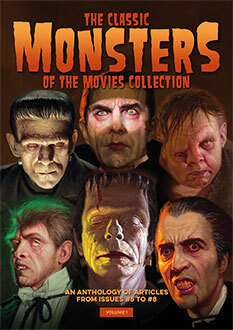 As such, it is a true hidden classic of horror film history. Thank you for sharing this film. Please do it regularly through the the coming years! !